A company director will be going on the adventure of a lifetime while raising money for a South West children’s hospice and charity. 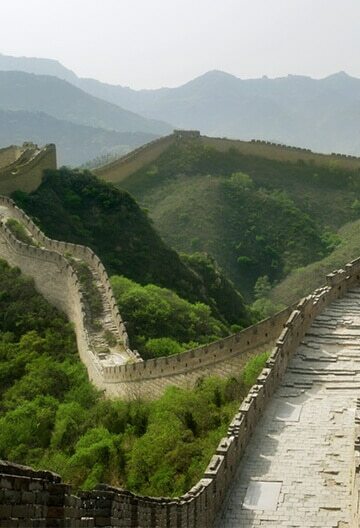 David Vizard, Sales Director of Mitcheldean-based Simplicity – one of the UK’s leading providers of outsourced back office and financial services to the recruitment industry – is currently preparing to trek across the Great Wall of China, in aid of Children’s Hospice South West (CHSW). The nine-day trip in October includes running three half marathons (at around two hours each), followed by trekking 21km along the wall for another three days, covering a spectacular distance of approximately 75km in total. David will be running alongside friend, gym instructor and personal trainer Blake McLeod from Virgin Active Gym, Barnwood, Gloucester. The duo are using the trip to raise funds for their chosen charities. David is fundraising for the CHSW, which is very close to his heart, whilst Blake is supporting Virgin’s chosen charity, Sparks. David Vizard commented: “A close friend of mine lost her daughter; after a successful pregnancy, but very difficult birth, the staff discovered the baby was born with eighty per cent brain damage after being starved of oxygen for more than twenty minutes. This left her with severe cerebal palsy, epilepsy and lots more serious problems. Doctors gave her days to live, but miraculously, she lived for 11 years but required intense 24 hour care from family, friends and staff. Children’s Hospice South West was incredible and provided the family with the vital care and support for everyone; my friend told me that without them, the family wouldn’t have coped at all. “I’m a father of three and can’t imagine how my friend has coped with everything that has happened to her and her family. The hospice helps make the most of short and precious lives, and make the passing of loved ones respectful and a little easier to cope with for the families involved, before, during and after the unthinkable event. CHSW runs three homely hospices – Little Bridge House in North Devon, Charlton Farm in North Somerset, and Little Harbour in Cornwall – meaning the charity can support life-limited children and their families across the South West. Simplicity is an award-winning supplier of financial services, specialising in outsourced back office, funding, administration and financial services for their customers, predominantly based in the recruitment industry. The company includes six key products: cashsimply, permsimply, payrollsimply, backofficesimply, gainsimply and DoubleIt!, spanning the many services they provide. To sponsor David and Blake, please visit www.justgiving.com/GreatWallofChina4Charity or text RGWC99 to 70070 (to sponsor between £1 and £10 – make sure you follow the link to give Gift Aid).